There was rain. But not just a summer shower. There was full-on, torrential downpours with some thunder thrown in for good measure. 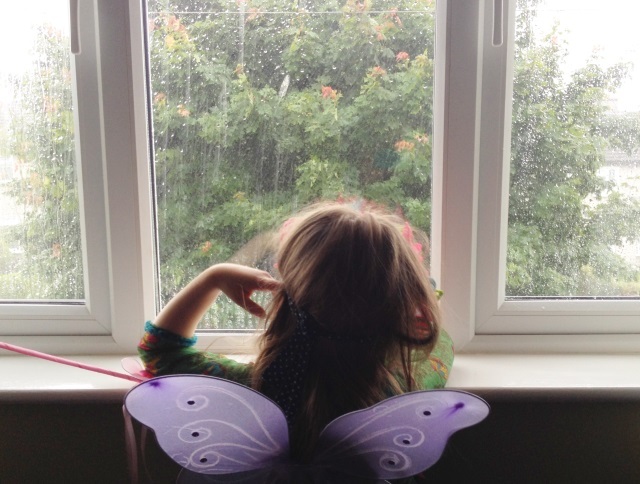 We ran to the car anyway, with raincoats flung over our flower-crowned heads and crossed our fingers that some fairy magic might do the trick and bring back the sunshine. 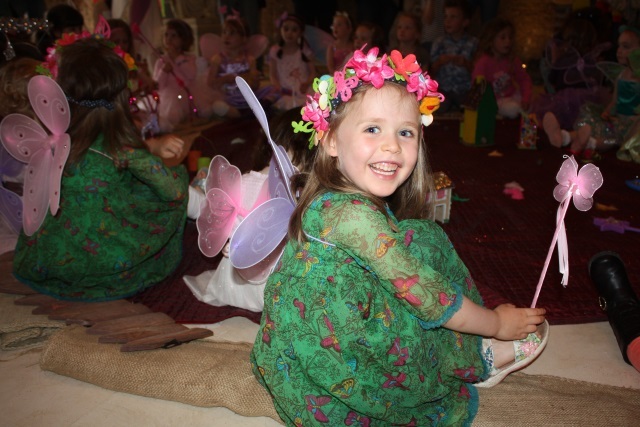 As it happened, the good folk from Imaginosity, who were hosting the event, had had convinced the fairies to relocate their garden party indoors - into one of the beautiful rooms in Powerscourt house. 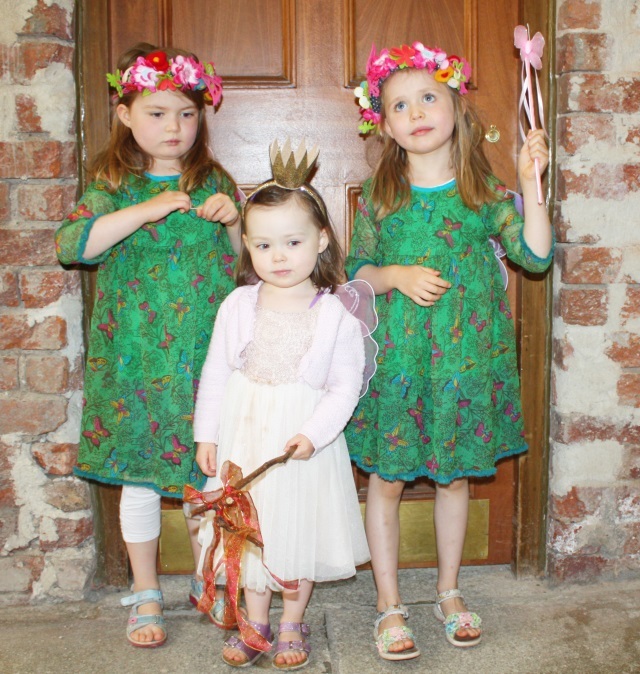 There, we were welcomed by three fairies who helped their little guests to practice their fairy moves, make fairy soup, play rainbow games and make little wishes to tie to the wishing tree in the garden. Lile, Sábha and their little cousin Elsie were absolutely enthralled throughout. They excitedly sought out the ingredients for the fairy soup under toadstools, sprinkled fairy dust, tickled toes under the rainbow parachute and carefully considered their wishes. After the fairy work was done we were escorted outside to hang our wishes on the fairy bush... in what we assumed would be more torrential rain - but no! The fairy magic had worked and there was glorious sunshine and gorgeous gardens to greet us. 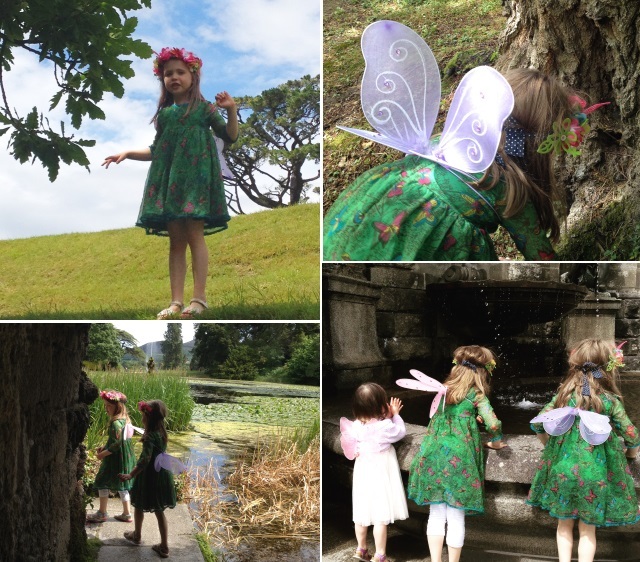 We spent the rest of our afternoon looking for water fairies in the lakes and fountains, looking for woodland fairies among the trees and and having a very lovely time indeed. We rounded off the afternoon with an ice-cream from the little kiosk in the courtyard and the three tired fairies went home very happy. 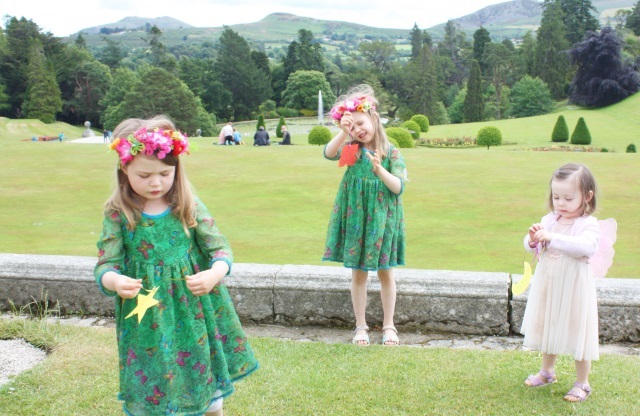 Powerscourt runs a year-round events programme including treasure hunts, guided walks, gardening workshops, bug hunts, theatre evenings and much more that all the family will enjoy. The Fantastical Fairy Fest event was a 30 minute interactive 'show'. It had a snappy pace that kept the sizable crowd of young children moving and engaged throughout. The event price also included entry to the gardens. 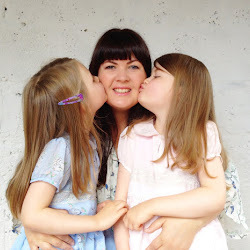 My girls really enjoyed themselves and it was a gorgeous Summer 'day-out' that will be fondly remembered. For more information about Powerscourt Gardens, one of the world's greatest gardens click HERE. And check out their events page HERE. 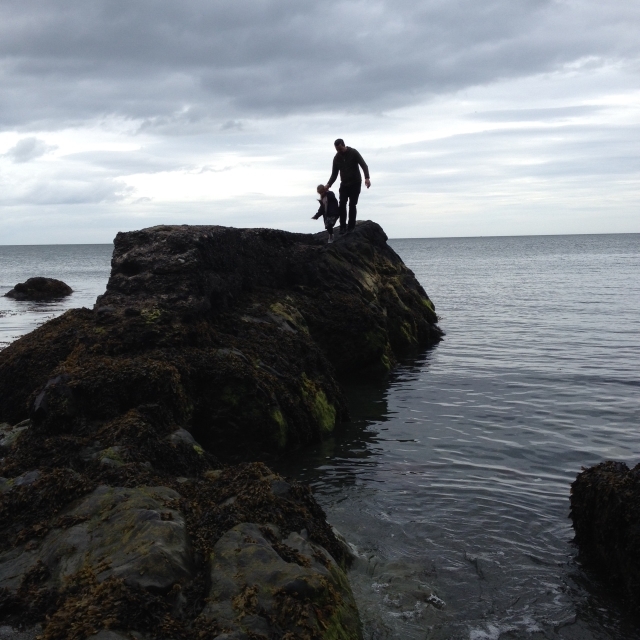 To read more things about Powerscourt that I have shared on this blog, click HERE and HERE. To learn how to make a flower crown, like the ones my girls are wearing in the photos, click HERE! WOW, very Amazing... I like the wings.. and girls are awesome.. Wish them a very happy long life.